History buffs and explorers can experience places where history was made by some daring individuals during The Trustees of Reservations’ (The Trustees) annual Home Sweet Home Open House event. In honor of National Preservation Month and the organization’s diverse collection of historic properties and landmarks, this day-long open house being held on Sunday, May 31st from 10AM – 5PM includes free admission to 11 of The Trustees’ most exceptional and off-the-beaten-path cultural sites across the state. This year’s theme celebrates our “Massachusetts Mavericks” – the independent minded, the free-sprits, the non-conformists, and the eccentrics whose legacies and stories infuse Trustees’ properties and have helped to collectively shape our country’s history. 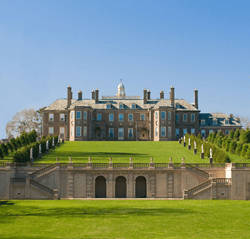 The Trustees’ collection of historic properties range from the Colonial era and the Downton Abbey-esque Gilded Age, to the Modernist retro era of Mad Men. Filled with unique collections of art, artifacts, and furnishings, as well as exquisitely designed gardens and stunning natural landscapes, several sites are also National Historic Landmarks designed by renowned architects. From the Berkshires to Greater Boston, there’s a Home Sweet Home open to you. Tours, events, walks, talks, games, refreshments and more will be offered. Visit http://www.thetrustees.org/homesweethome for all the details. For those who can’t make the open house day, please visit http://www.thetrustees.org/historichomes to find historic home visitation hours and/or to schedule a special school tour or group outing.